The title of this British Film Institute DVD box set poignantly evokes the stoicism and fortitude celebrated (or propagandized) by British documentary during its heyday, capturing the determined, sometimes uneasy tenor of British society during an era in which it was transformed from the economic, political and moral certitudes of the Victorian period into a modern post-war state. Looking back with the hindsight of the past thirty years, I am struck by the faith in national consensus which underpins these films, one undermined since the Thatcher era by declining industry, social fragmentation, and a blanket rethinking of the relationship between the private and public spheres. In the post-war decades, the society addressed so earnestly and paternalistically by such documentarians as John Grierson, Humphrey Jennings, Paul Rotha and Basil Wright in the 1930s and 1940s was already breaking down into a political, racial and gendered multitude of individuals and interest groups, lending the promise enshrined in these films a faintly naïve, even forlorn air. 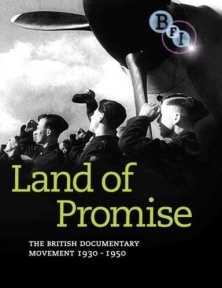 Consisting of forty shorts preserved in the BFI National Archive, this impeccably re-mastered collection brings together many of the textbook moments of the documentary movement including Robert Flaherty’s Industrial Britain (1931), Rotha’s Shipyard (1935), Humphrey Jennings’ Listen to Britain (1942) and A Diary for Timothy (1946). The virtues and verities of these films have been well-rehearsed, but in amongst these exemplars of a unique time in British film history are lesser-known treasures: To-Day We Live (Ruby Grierson and Ralph Bond, 1937), Children at School (Basil Wright, 1937), They Also Serve (Ruby Grierson, 1940) and Night Shift (J. D. Chambers, 1942), focussing on the overlooked alleyways and micro-cultures of a people on the move. 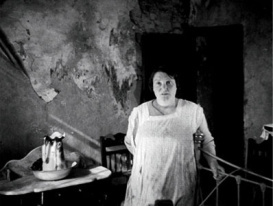 The British documentary movement sprang from the conviction that modern film technique, occasionally leavened with modernist panache and allied with imaginative use of public funds, could generate an exciting and watchable record of a nation lifting itself out of Victorian privation and depression squalor, then fighting for a better world for its citizens. Such vivid and energetic use of the medium as a tool to build a better world was endorsed by various governments during the interwar period, despite an often fractious relationship between filmmakers and civil servants, and the belief in film as a progressive window on experience burns in all of these films, however prosaic their subject matter or unpolished their ordinary protagonists. These were the decades of the mass cinema audience, an era which saw huge turnouts for ‘the pictures’, while commercial studios provided entertainments aimed at every man, woman and child. A striking aspect of this collection is the space it affords women and children to relate and reflect upon their everyday lives. Whilst the tone can seem rehearsed at times, there are moments in which individual voices can be heard, genuine interiority felt, complementing, even contradicting, the promise of national consensus by focussing on the experience of individuals amid a relentlessly patriarchal status quo. A perennial concern in these films is housing. By the middle decades of the last century, ageing tenements erected during the Industrial Revolution had become decaying vermin-ridden purgatories appallingly inadequate to the needs of families. Now regarded as a classic of the era, Housing Problems (Arthur Elton and Edgar Anstey, 1935) was made under the aegis of the British Commercial Gas Association to draw attention to shocking conditions in Britain’s industrial hinterlands, and to proselytize on behalf of a new era in housing provision. You are struck by its rare investment in the voices and attitudes of slum tenants forced to live alongside the everyday grotesquery of bugs, rats and damp. Invited to comment on their lives, the housewives and householders here speak in the vernacular tones of East London and Yorkshire and if their sentiments can seem stilted, we must remember that the dominant voices of British documentary, like mainstream cinema, were always middle class and determinedly Oxbridge. Appearing early in the set, the attitude of people relating the loss of children to malnourishment and disease seems peculiarly British in its pragmatic reserve, yet all the more crushing for that. The message that the nation’s children are its most valuable asset permeates Basil Wright’s Children at School, also sponsored by British Commercial Gas. Shot on location in classrooms and playgrounds using synchronized sound, this 23-minute film critically evaluates contemporary educational provision, comparing the social democratic ideal of education as empowerment with the drills and regimens of Nazi Germany. Like Housing Problems, the film sets out a national dilemma and posits its solution, in this case airy modernist classrooms to replace forbidding Gothic towers. Alive to the joys of childhood, the scene of the little boy in Wright’s film describing his kitten’s antics is a delight. Five and Under (Donald Alexander, 1941), a pæan to the nursery school system, aspires to a future utopia, one free of the housing burden of the past and the political horrors of the present: “In the Britain which we must plan, a Britain without war or slums […]” Yet, after the velvet-voiced narrator’s relentless and didactic advocacy of best practice, you welcome a scene of childish anarchy in which slum kids break their toys and create mayhem. Indeed, the paradox of these films consisted precisely in their championing of social democracy amid an increasingly totalitarian world, whilst sometimes sounding as univocal and propagandist as a Nazi newsreel. In the increasingly regimented British war economy, it is the moments of maladroit humanity that find other moods and truths inadvertently breaking through the official line. Whilst the state socialism of the war years afforded and celebrated the contributions of women – “Women are in this War as much as their Men” – reads the rubric to Five and Under, democracy’s own subtle propaganda, the patriarchal order, still lingered. In Tomorrow is Theirs (James Carr, 1940), examining secondary school provision, a woman teacher is valued merely for “filling the gap” while the men are away. Nevertheless, the burgeoning opportunities for work and independence afforded women in wartime seem worlds away from the old-school sexism of the Welsh valleys in Grierson and Bond’s To-Day We Live, in which the men of the village plan and provide for a community centre while their women frolic at keep fit and folk dancing classes, and a ‘Woman’s World’ hoarding outside a newsagents features a piece on “A Woman’s Cash Value”. In its quiet way, Grierson’s They Also Serve, dedicated “To the housewives of Britain”, is a moving tribute to the unromantic drudgery of the provincial wife and mother. Its observation of detail is vivid – things on a breakfast table – while its reach is often intimate – Mrs Anderson rubs her husband’s back before he sleeps. While the stream of consciousness as Mrs Anderson’s interior monologue voices concern for the little things and for those around her may to a modern sensibility seem to proselytize on behalf of ‘family values’, the glimpses of interiority, spoken in everyday vernacular, are a tonic after the thrusting voice-overs of many of these films. As Sarah Easen points out in her overview of women documentarians included in the very thorough booklet contained here, Ruby Grierson, John Grierson’s younger sister, was an uncredited assistant on Housing Problems and had an easy way with interviewees, eliciting the stories of ordinary people in their own words. Prosaic as it may seem to a modern viewer, the feverish jam-making and community ardour of the Women’s Institute in The Countrywomen (John Page, 1942) celebrates a constituency that contributed valuably to the war effort without the organizing voice of a man to be heard. Ostensibly, nothing could be further from this dream of bucolic bliss than the girlish camaraderie of J. D. Chambers’ Night Shift, chronicling a ten-hour shift in a Newport ordnance factory. 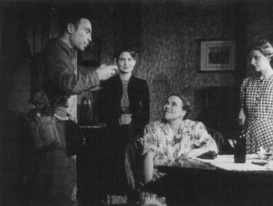 Female conscription was introduced at the end of 1941 and this film’s stark premise suggests another world beckoning as a worker reflects: “It seems funny at first turning night into day.” Whilst many documentaries were shown as part of cinema programmes, the key to wartime distribution was via a non-theatrical network of mobile projector vans touring the provinces. Though a key aspect of popular cinema, as James Chapman writes: “It is impossible to know how many people attended these film shows – contemporary estimates range between one million and four million […]” The contrast between the exhortational propaganda of such as Britain at Bay (Harry Watt, 1940) and the factual flavour of non-theatrical work offered latitude for more cinematic ambition. Harold Young’s camera tracks in high angles over rows of lathes, at one point to the strains of a ballad of love lost sung in the canteen as if it continues in the minds of the munitions workers. The solidarity is buoyant and infectious. A girl is playfully ribbed for working too hard: “Need a man about the place.” “We don’t!” comes her feisty reply. Consisting at the time of extensive studios and experiencing its salad days, the output of the official British film industry often echoes in these humble films. Works such as Cotton Come Back (Donald Alexander, 1946) narrowed the gap between propaganda and entertainment by employing dramatic scenarios. Night Shift prompted the production in 1943 of the fictional account of factory girls in love and war in Sidney Gilliat and Frank Launder’s Millions like Us (1943). Meanwhile, in Children’s Charter (Gerard Bryant, 1945), outlining the aims of the 1944 Education Act, which formulated the tripartite system of British grammar, secondary modern and technical schools in place until the 1970s, a class of girls is asked if they prefer a film to be written for the screen or based on a book. Amid all the didactic learning by rote, it is refreshing to hear kids being asked for their opinions in a short packed with zeal for the traditionally masculine pursuits of science and technology, while girls dutifully cook. Whilst perhaps redolent of that hoary British suspicion that cinema is really a branch of literature, this scene quietly acknowledges just how important British cinema’s female audiences used to be. Elsewhere are moments in which docile femininity veils possible disquiet over the status quo. In Five Towns (Terry Bishop, 1947), the young London fiancée is introduced to life in the Potteries of Staffordshire. In this dramatized hymn to the modernizing industry, the newcomer seems unsure about her future, doubts fairly bulldozed by her boyfriend at one point. Despite vivid testimonies about their jobs and an exacting account of the making of a teacup, we are left to wonder how many women – displaced, indoctrinated, lonely – secretly rebelled against the patriarchal grind of post-war life after the camaraderie of the munitions shop floor. The scene in which the girls sing as they work in the paint shop seems a pale reminder of the wartime canteen. “We began in a matter-of-fact way, keeping our eyes on the object” intones Michael Goodliffe’s sartorial narration in Family Portrait (Humphrey Jennings, 1950), rounding off the collection with a rousing pæan to British industrial and intellectual initiative ahead of the 1951 Festival of Britain. Goodliffe’s words could be a rubric for the documentary movement itself. It seems somehow apposite that documentary should have been Britain’s most celebrated contribution to classical cinema just as empiricism has been our contribution to western philosophy. The effect of watching these shorts one after another can be like being hectored by a well-meaning patrician anxious that his plebeian audience don’t dwell on the past, (or wander out to the lobby for an ice cream!). But just occasionally the movement’s faith in the camera as a window on the world takes on a kind of ‘found’ splendour in a series of images like those that end Cotton Come Back, in which mill workers are seen at toil followed by a quiet panning shot over factory chimneys. Here we recall the aerial tracks over the machines in Night Shift, the matter-of-fact revelation of the object amid the serendipitous meld of time and space. If the point of publicly sponsored documentary was to solicit public consent for the existing order, in affording glimpses of constituencies beyond the tweedy didactic boardroom, these films listened to other voices, other instincts.